No sound for the first fourteen seconds or so. Secular humanists, atheists and evolution enforcement groups [posing as "science advocacy groups"] have given up scientific debate. Instead they’ve resorted to a more fascist approach: mockery and legal suppression of alternative theories or dissent from Darwin in any form. Now they want even more, and what they want would make Galileo turn over in his grave. A few days ago, I wrote an article called Evolution Is the Only Scientific Theory That Needs Laws To Protect It, in which I drew attention to efforts by the British Humanist Association and a handful of evolutionist, including misotheist Richard Dawkins, regarding science education in UK schools. In essence they want microbes-to-man evolution taught exclusively and uncritically in all UK schools, and, since they do in fact believe the Biblical axiom of Proverbs 22:6 (“Train up a child in the way he should go: and when he is old, he will not depart from it”), they want our children indoctrinated in evolutionary dogma at an earlier age. Starts out pretty good, huh? You can read the rest of "I Call It Fascism: A Critique of the British Humanist Association’s 'Teach Evolution, Not Creationism' Position Statement" here. "Those behind the call for ‘evolution not creationism’ say teaching that God created the world is dangerous and must be prevented by law." Buona sera. I'll keep on saying it: Since modern atheists do not bother with boring stuff like logic and critical thinking, and evolutionists cannot bear to have the flaws in their "theory" exposed, they seek to silence the opposition. Emotionalism, personal attacks and ridicule, provocation — and by legislation, when possible. Intellectual honesty, and scientific inquiry, will be willing to examine contrary evidence. Present only the strong points of evolution, hide the flaws and the frauds, suppress creationist/Intelligent Design evidence and explanations — you're doing brainwashing, not education. Capice? In a serious effort at thought control, certain Brits are acting like the fascists that tried conquer them about seventy years ago. I have a couple of articles that are worth your time. The teaching of creationism should be outlawed in school science lessons, a group of leading scientists have said. And the curriculum should be changed to ensure evolution is taught from when children start school, according to academics including Sir David Attenborough and Professor Richard Dawkins. Those behind the call for ‘evolution not creationism’ say teaching that God created the world is dangerous and must be prevented by law. In May of this year , CMI-UK’s Philip Bell addressed some pupils at a Religious Education study day at a Church of England school in Exeter. 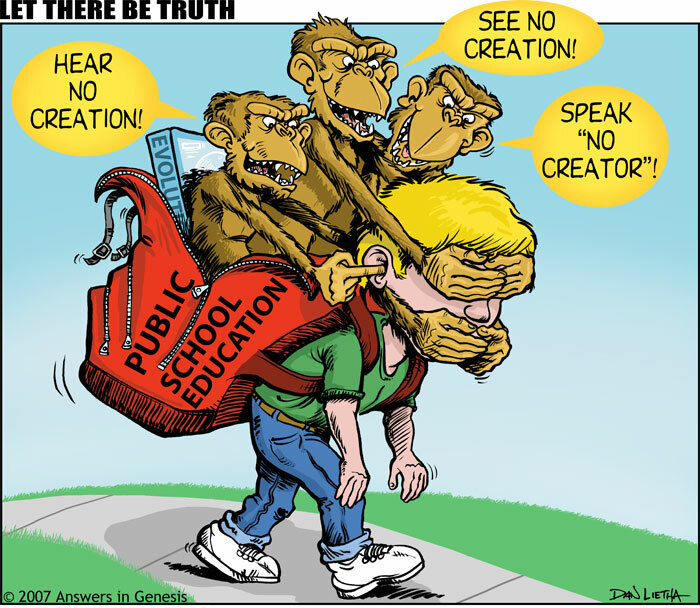 As a result, the self-styled ‘British Centre for Science Education’ (BCSE) launched its ‘Creationism In Schools Isn’t Science’ (CrISIS) campaign, supported by the National Secular Society. This took the form of a letter to the UK Secretary of State for Education, signed by a number of prominent scientists, demanding that action be taken to prevent creationism being taught in schools as having any kind of scientific validity. You really should read the rest of "Heavyweights Move to Ban Creation". Buon giorno. This post is to redirect you to some material I wrote on my other Weblogs. Over at "Piltdown Superman", I have some material showing how an evolutionary mindset contributes to all sorts of evils in society — including abortion. 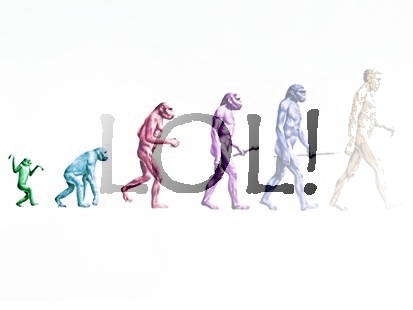 You can read "Evolution and Abortion" here. For the relevance of the issue of abortion for Christians, I compiled something I called "Abortion and Conscience" here.